Many of my Blog Posts refer to the 20th century epidemic of coronary heart disease, CHD. Many people must wonder if I have got it all wrong. Was there really an epidemic? Why do we not read of this "epidemic" elsewhere? I also fail to understand this - surely other doctors and other observers must have read the original articles in the extensive medical literature. But sadly, perhaps not. A new and recent publication in the International Journal of Epidemiology (reference at the end) was brought to my attention this week by my friend Dr Luca Mascitelli. The study looks at the decline of CHD deaths since 1980 in the countries of UK, Australia, Sweden, USA, Canada, Spain, France, Japan. 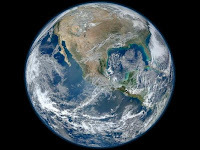 Precise records of death require sophisticated medical services and also national public health and reporting systems. These are not always present and so it is necessary to obtain data from those countries where they do exist. The countries included in this study provide a large data set, as accurate as it is possible to be. It is clear from this study that there has been a major decline of age-related CHD deaths internationally, by up to 80% between 1980 and 2007. The title of the study suggests a follow-on from the Seven Countries Study, that we have seen. Now that epidemiology is much more sophisticated the new study is of much better quality and its findings are much more reliable. The higher the incidence of age-related CHD deaths in 1980, the greater is the subsequent proportionate fall. This is an international phenomenon. There are of course countries, not in this study, in which CHD deaths do not appear to have presented an important public health problem. This could be a reporting problem but if present, then CHD would have been overshadowed by many other diseases. 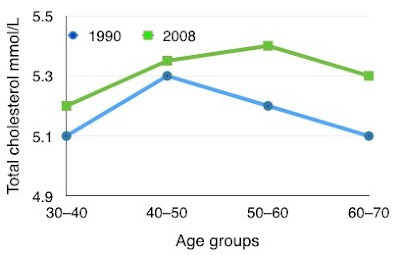 The decline of age-related CHD deaths is substantial and universal, in men and in women, as shown in Figures 1 and 2. We can also see the absolute decline, expressed as age-adjusted death rate per 100,000. 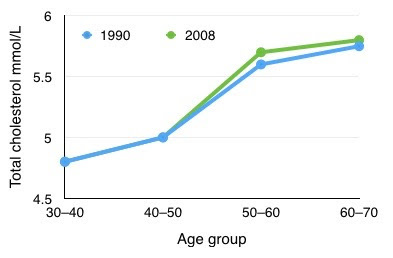 In Figure 3 we see the death rates in men. Each county is represented by a series of vertical columns, each representing a period of time. All show a progressive reduction of death rate. In 1980 the highest death rate from CHD was in the UK, with USA, Sweden, Australia and Canada close behind. 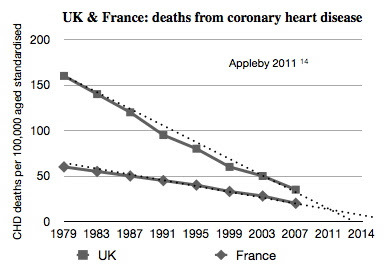 Spain and France had lower rates of CHD deaths, and this well-known. 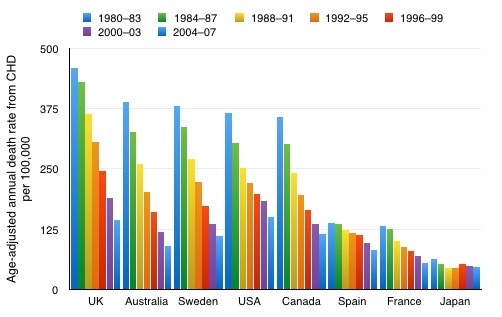 In all countries in the study there was a major decline. Japan is the outlier as usual with a very low number of CHD deaths. This is probably due to a high fish diet and location of most of the population at a low latitude fairly close to the equator, giving good exposure to the sun which also provides good vitamin D levels. 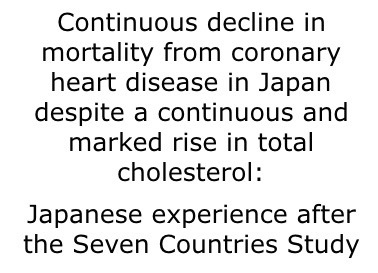 The decline of CHD deaths was also seen in Japan, as part of the international trend. Figure 4 shows the same trends in women. Please note that the numbers on the vertical axis are different. Compared with Figure 3 we can see that the death rate in women has been only about one third that in men. This is also well-known. The decline in CHD deaths has been well and repeatedly documented. Our risk of dying from CHD is now low, and this is why there are so many people living so long. The new epidemic is that of very old age, the elderly now being those who 40 years ago by good fortune did not not die a premature death from CHD, a fate that at that time was experienced by many. I stress that the mortality data are age-adjusted. There is no useful purpose in comparing the mortality rate of 50 year-olds at one time or place with 75 year-olds at another. People still die of CHD today, but they are mainly the very old, age greater than 75. We can see this clearly in Figure 5. 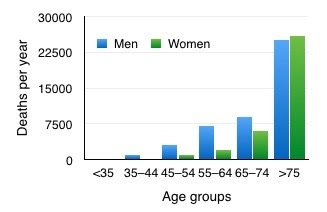 It is interesting to note that above the age of 75 the current risk of dying from CHD is equal between men and women. Figure 5 shows the number of actual deaths in 2010 and not death rates. The equal numbers might reflect the fact that there are more women than men in this age-group. It is clear that people below the age of 75 years, those born in the second half of the 20th century, are at much less risk, and that risk has probably diminished progressively during this time.The high risk of CHD appears to be among those born before, during or shortly after World War 2, a "cohort effect". It is as though there was during that time an environmental agent that has either disappeared or to which we have developed immunity. The data in the study that we having been viewing started at 1980, but the death rate had been declining in the UK and the USA since 1970. 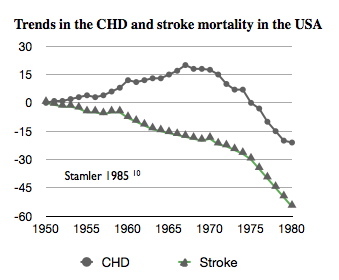 The decline of stroke deaths started slightly earlier in about 1960 (Figure 6). 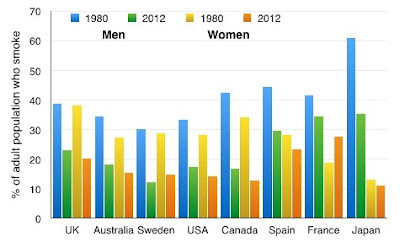 In the UK, the age-adjusted mortality rate in men in 1980, as shown in the present study (Figure 3), was 460 per 100,000, whereas in 1970 it was 520, representing 11.5% decline in ten years. 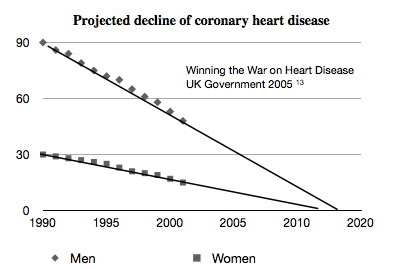 Two important papers were presented in the UK documenting the decline of CHD between 1990 and 2002, in both men and women, and extrapolating (perhaps without justification) to the end of the epidemic by about 2020. 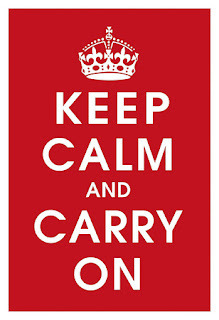 The first was a report by the UK Government Department of Health. It was very much a "snap-shot" looking at just a twelve-year period. The second was a paper written by Dr John Appleby, chief economist of the UK King's Fund for the study of health. He reported the decline of CHD death rates between 1979 and 2007, comparing the UK with France. The latter started at a much lower level and so as the graph lines came together the proportionate fall in France was much less. The low number of CHD deaths in Japan, compared to Europe, North America and Australia, was perhaps first brought to attention in the Seven Countries Study. The explanation generally given is that it is the result of a low animal fat and a high fish diet of the Japanese. The average blood cholesterol levels in Japan were also noted to be low, and these findings became an important foundation of the diet-cholesterol-heart hypothesis, which we now know to be seriously flawed and not viable. 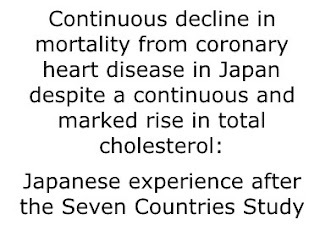 In the present study, it was found that whereas in Japan the CHD death rate went down in men by 27% between 1980 and 2007, the average blood cholesterol level rose. This was not expected as the levels had gone down slightly in other countries. We can see the change in Figures 9 and 10. The graphs shows the average total cholesterol levels in the blood for the four age-groups shown for the years 1990 and 2008. This finding could have led to the conclusion that the findings in Japan, and also the worldwide reduction of CHD deaths, were incompatible with the diet-heart-cholesterol hypothesis, which would therefore be invalidated. However I suspect that this was not mentioned in the paper as such a controversial view could not be published. The reason for the declines are usually stated to be the result of medical, pharmaceutical and public health interventions. There is no question that there has been a substantial reduction in cigarette smoking, and this was recorded in the paper. The reductions ranged between 7.1% in French men and 25.5% in Japanese and Canadian men, whereas in women there was a maximum reduction of 21.3% in Canadian women but an increase of 1.8% in French women. We can see than changes by comparing the rates in 1980 and 2012 in Figure 11. It is interesting to note the high prevalence of cigarette smoking in Japanese men. Despite this there is a very low incidence of deaths from CHD. We have already seen this in Greece, suggesting a major paradox, and now we see the Japanese extension of the Greek paradox. Where there is plenty of sun, there are few deaths from CHD regardless of cigarette smoking. Cigarette smoking cannot be regarded as the cause of CHD but it accelerates it, causing death about ten years earlier than in non-smokers. It is also suggested that the decline in CHD deaths is due to the widespread use of statin medications. This is not likely to be the case because statins were only introduced in the 1990s. At present in the UK about 25%of people aged 70 take statins, and about 10% at the age of 50 years. We also know the small effect of statins. Even just after the height of the epidemic of CHD, in the 1980s, the benefit of treatment with a statin for five years benefitted only one in 90 very high risk men in the west of Scotland. With current much lower levels of death rate from CHD, it is likely that fewer than 1 in a 1,000 will benefit. The decline of CHD deaths would appear to have been spontaneous rather than the result of medical intervention. 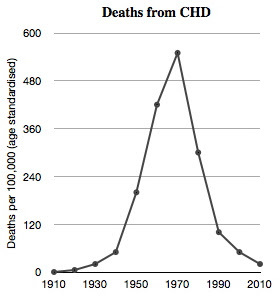 Although there have been many descriptions of the dramatic decline of CHD deaths, such as those displayed above, these do not in themselves identify an “epidemic”. It is only when the corresponding onset of the disease is identified that it can be called an epidemic. It appears to be only in the UK that good quality data are available on population mortality in the later part of the 19th and the first half of the 20th centuries, and the years leading up to 1970. These have been analysed by Dr Maurice Campbell (1891-1973), a leading cardiologist from Guy’s Hospital, London, and the first editor of the British Heart Journal. He was a highly respected physician. His important and unique work on the emergence of CHD during the 1920s seems have been forgotten - it is as though the study of CHD started only in 1980, or perhaps 1970. Campbell’s study appeared in two short papers in the British Medical Journal in 1963. He noted the emergence of CHD in about 1924, with a doubling of deaths every few years, that is an exponential increase. He dealt with suggestions that this was just a change in diagnosis. He found evidence in the national records of an increase in total deaths from heart disease, at a time when deaths from syphilitic heart disease and rheumatic heart disease were diminishing considerably (helped by penicillin). I will present details of this very important work in a future Post. We see therefore both the details of a major reduction of deaths from CHD since 1970, and also the emergence of CHD before 1970. This data is published. Why is it not read, understood and made available to the public? It is clear that there has been a true epidemic of CHD. British Heart Foundation. Coronary Heart Disease Statistics, 2014 edition. Campbell M. Death rates from diseases of the heart: 1876 to 1959. Brit Med J. 1963; 2: 1963. Campbell M. The main cause of increased death rate from diseases of the heart: 1920-1959. Brit Med J. 1963; 2: 712-717. Grimes DS. An epidemic of coronary heart disease. Quart J Med 2012; 105: 509-518. Your post clarifies many things that have not been quite clear to me before. The cause of this hundred year epidemic must be a fascinating puzzle. I can't bear to think that the statin brigade will be falsely claiming credit for this dreadful disease's decline. Hi Roger - things will become even more clear (I hope). I have just come across a 2014 article describing the epidemic in the USA. I will post a review of it in a few days time. I think the need for defibrillators at the squash court is now at an end, thank goodness. from the timing of smoking incidence. so they shift towards older people. I prefer fixed agegroups, e.g. 45-54 for CHD. 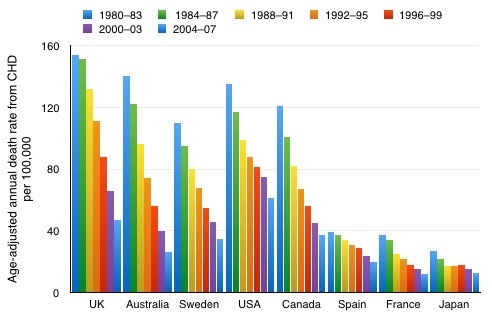 One more "epidemic" thing : the earlier it starts, the earlier comes the decline ! As in an infectious "wave", only that it lasts decades, not weeks. England or USA. But I learned recently that they often diagnosed it as "dropsy"